The Italian Senate has voted a bill that criminalises irregular migration and when the bill finally becomes law, the Italian government could recognise 5,865 Gambians as illegal migrants. The Senate of The Republic of Italy, the highest house of decision making, has voted against appeals in territorial courts from asylum seekers on 29 March 2017. The bill that criminalises irregular migration would be voted in the Chamber of Deputies within 60 days and if endorsed by the deputies, it would automatically become part of the laws of Italy. With the approval of the bill, asylum seekers who are rejected or refused international protection by territorial commissions will have to appeal at the High Court of Italy. Analyst said the bill was passed to the deputies in the bicameral system of Italy as a response to the regularisation of migration. The bill, according to Mr Marchiso, “seeks for the acceleration of migration proceedings and deportation of all those found to be “illegal migrants. He said when the bill becomes a law, a total transformation of the asylum system in Italy would begin. 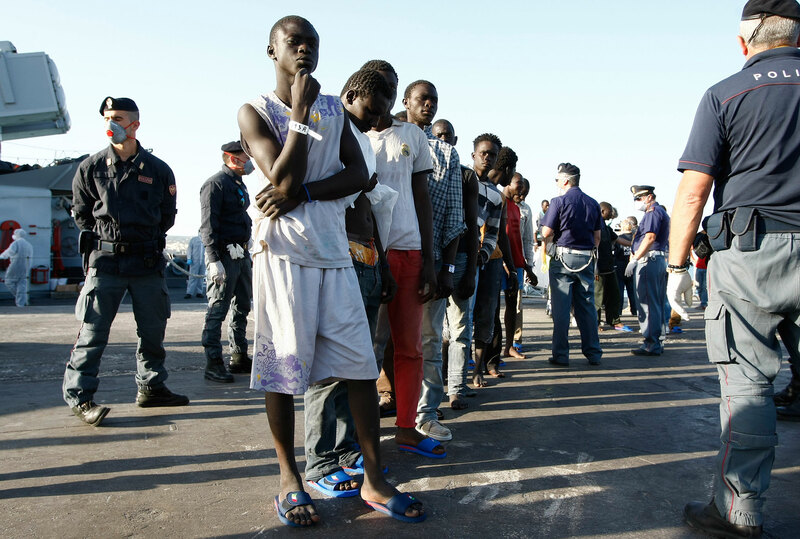 With the new bill, the Italian government would see all rejected asylum seekers as illegal migrants and such migrants can only seek appeals from the High Court under special conditions. According to Arci and Caritas, the decision from the House of the Senate is identical to “criminalising migration”. According to them, the many others see it at worst as criminalization of immigrants that have failed their first asylum and at worst, as an oversimplification of International Protection and lives of vulnerable human beings. “This legislative degree will quicken asylum procedures while pausing lots of problems in the system for both the government and asylum seekers. We might be seeing the end of a civilized asylum system that prioritize asylum seekers rights’ of full security to appeal” says Emmanuale Ragussa, a migration Lawyer. 2016 figures of Asylum Information Database (Aida) have shown that 8,930 Gambians have applied for asylum, among which 6,300 are pending, 225 are given refugee status(2.6%), 240 are given subsidiary status (2.8%), 2350 given humanitarian status (27.1%) and 5,865 (67.5% )are rejected protection of any kind. “Majority of Gambian asylum seekers cannot pay for their appeals at the High Court of Italy” Buba Camara lamented. The Senate as an elected chamber and sharply restricts its ability to veto legislation except the Constitutional Court. When this bill becomes a law in the next 60 day, the 67. 5% (5865) will all be automatically qualified by law as illegal immigrants and will be deported by law.